Oh my! It has been a long time since I've written a post. Mostly that's because I have finally waded into the thick of homeschooling. I'm finding it's a murky (but delightful) bog...there's always more to do. I know some people do a great job juggling homeschool life with blogging, but that's definitely not me yet. 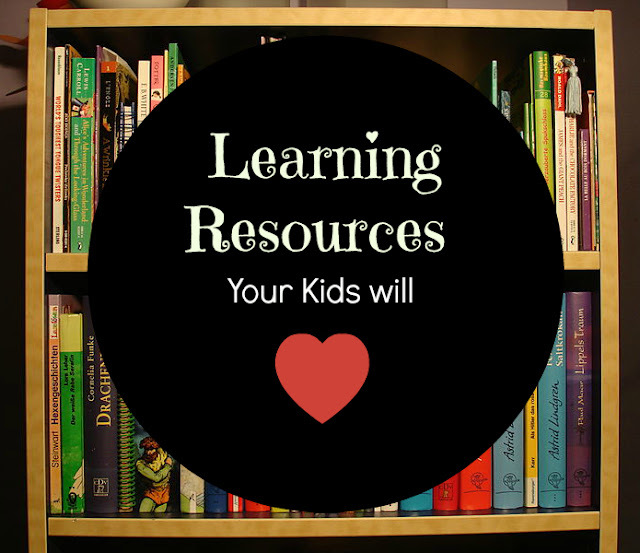 In the meantime here's a quick post sharing some of our favorite home school resources that we have discovered in the last few years. The items below are just supplements to our main curriculum. Maybe I will write another post someday with the actual core of what we do, but honestly, I think that's less interesting. It's often the bonus materials that we pepper here and there that keep us sane and excited about learning. Life of Fred Books. A quirky math curriculum in the form of an ongoing story about a 5-year-old college professor. I hate math, but love reading these books. Whenever we can find the time, I call the kids over to cuddle up with me on the couch for a story time experience, and along the way we have our minds stretched with logic, math, and all kinds of other subjects. The author has managed to harness the absurdity that children love, while at the same time calling them upward toward truth, goodness, and beauty. I promise you'll even forgive the lame graphics; they are actually part of the charm! For those who are familiar with Charlotte Mason's philosophy, this is the closest thing to a living book approach to math that I have ever seen. 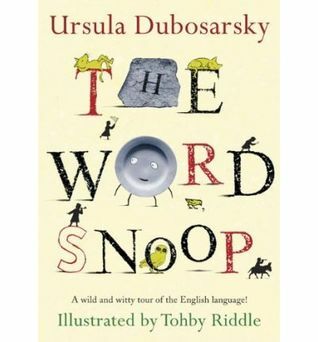 The Word Snoop- After borrowing this book from the library, I sat down to skim it before giving it to my kids. An hour and a half later, I got up after devouring almost the whole thing! For people who love words and languages, this is such a fun book! A playful telling of the history of the English language with detours to talk about palindromes, anagrams, secret codes, and the like. Growing Up Where Jesus Lived. 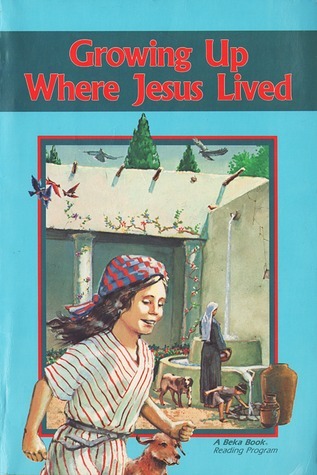 A Bible backgrounds book written at a second grade reading level. It's not dumbed down or cutesy, but still engaging for kids because gives the information as a story about a little child living in ancient Israel. My kids really enjoyed it and made good connections with the Bible stories they already knew. 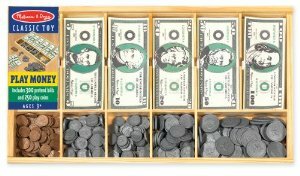 Melissa and Doug Pretend Money set. I have a love/hate relationship with this resource. On the one hand, the coins and bills end up all over the house and it's a pain to keep organized once the bills get fluffy. On the other hand, it's great for teaching adding/subtracting/money skills. My kids play store with it almost every day. Bottom line: I'm looking forward to when they all know their math and money skills and I can throw.the.thing.away. 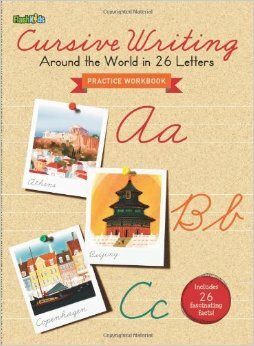 Cursive Writing: Around the World in 26 Letters. 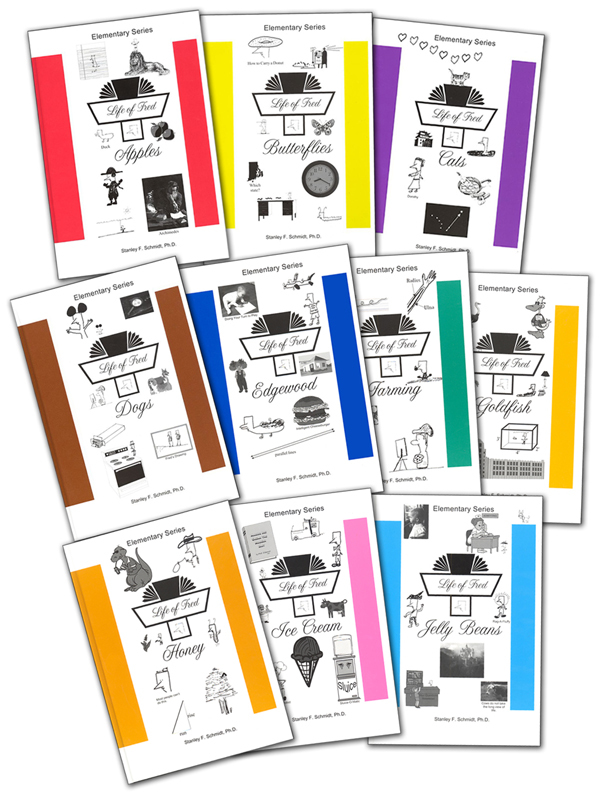 We use a different handwriting book to teach the basics of cursive, but this makes a wonderful practice workbook. My daughter loved the beautiful pictures from around the world on each page and looked forward each day to copying interesting facts about the countries. 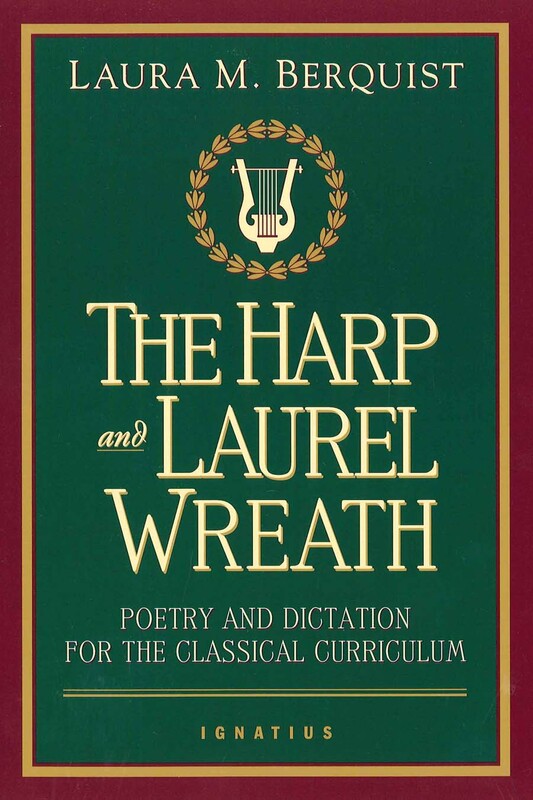 The Harp and Laurel Wreath- I wish there were a Protestant version of this book. There are definitely selections that our family skips over due to Catholic theology. But as a collection of classic poetry and prose expressing great truths and organized according to age appropriateness, it can't be beaten. We use it for copy work, memorization, and reading aloud. 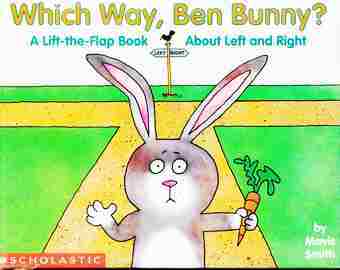 Which Way, Ben Bunny? Great for teaching right and left. Follow a bunny through the woods and lift up the correct flaps to find him. We've read it so many times it's falling apart. 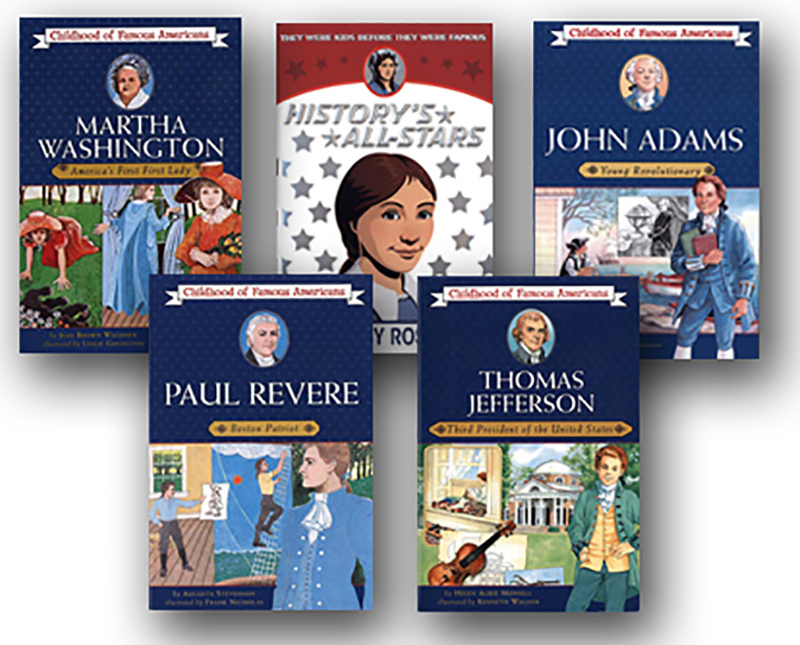 Childhood of Famous Americans series. 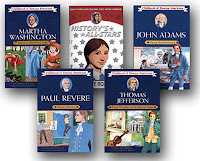 These aren't exactly biographies; many of the situations and people in them are fictionalized, but this series is one of the biggest contributors to my kids' knowledge of American history. We especially look for the titles that were published originally in the 1940s-60s. 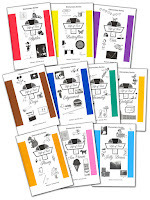 What are some of your favorite homeschool curriculum supplements?